A few years ago I developed a series of sermons entitled Wise Marriage. I originally shared them on Sunday mornings while serving as pastor of Ridgecrest Baptist in Birmingham, AL. God used this series in a great way to save some marriages, strengthen others, and to give wisdom to a few couples who were preparing for marriage. There are strong leaders at Ridgecrest now that began attending the church through this series whose lives are far different now than they were just a few years ago. I praise the Lord for this fruit and count it one of the great joys of my years in ministry. I will be sharing this series again, with the addition of two new messages and some revision all along the way, that is not only pertinent to a new year, but also to a new audience at Liberty Baptist Church. Also, each Sunday night my wife will join me for a short time of Q and A from the audience. Because there may be some sensitive information shared, we will provide a great children’s activity during the sessions for those 1st – 5th grade. Childcare will also be provided for children 0 – 5 yrs. Following these Sunday night services, we will host a time of family fellowship, so dress casual. Be ready to grow in Christ and to also have some light hearted fun together as a family. 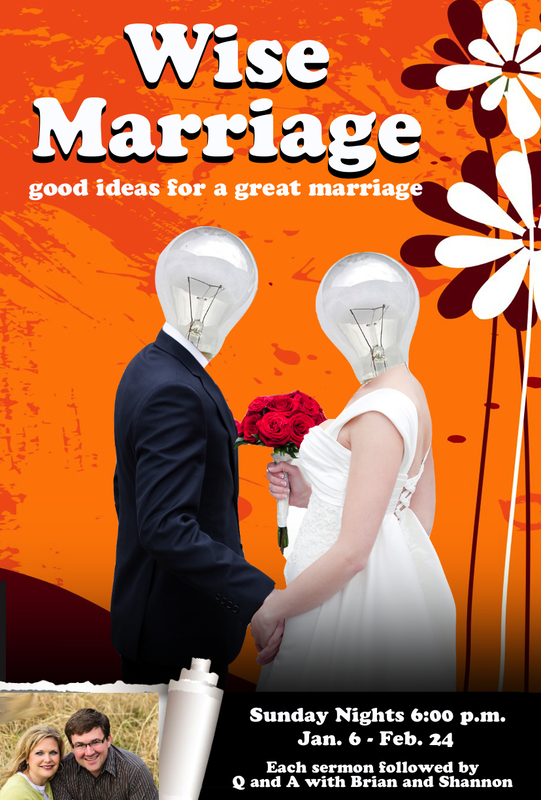 If you are in the Dalton, GA vicinity, I hope to see you this Sunday night at 6:00 p.m. as we glean some “good ideas for a great marriage” from God’s Word. Directions and information about Liberty may be accessed at www.libertybaptistchurch.ws.